Public schools in Okotoks are administered by the Foothill School Division. There are 2 elementary schools serving the north side of Okotoks, including Percy Pegler School and Dr. Morris Gibson School. On the southern side of Okotoks there are 2 elementary schools including Big Rock School and the new Westmount School. There are 2 junior high schools, Okotoks Junior High School and Westmount Junior High, and one high school in the area called Ecole Secondaire Foothills Composite High School/ High School of Fine Arts. View public schools contact info below! Dr. Morris Gibson has received very high marks on the Fraser School Report and serves Crystal Shores and some of Drake Landing. The newest phases of Ranchers Rise and Drake Landing are bused to Percy Pegler, even though the school is further away than Dr. Morris Gibson. The Percy Pegler elementary school offers French immersion from kindergarten to grade 6. It serves just about the rest of the northern section of Okotoks except for Sandstone, Mountainview and any homes situated on the north side, west of the main highway. Children living in these areas go to Big Rock School. Big Rock School serves Mountainview, Sheep River, Sandstone and any other homes west of the highway on the north side. It also serves children residing in the northern part of Woodhaven, Cimarron and the areas closest to the river. Children living in Westmount, South Cimarron and Westridge are within the boundaries for Westmount Elementary School. Westmount Junior High serves families living in all parts of Cimarron and all families living on the south side. 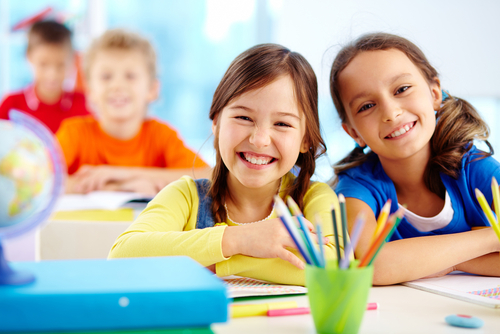 Westmount is Okotoks’ newest school and offers courses from kindergarten through to grade 9. It was added as an Okotoks public school to help relieve some of the pressure in the other schools. Okotoks has been expanding rapidly and as a result, a new school was desperately needed. Okotoks Junior High School is called "OJ" as a nickname and serves the residents of Sheep River and families living on the north side of the town. The school offers grade 7, 8 and 9 nine programs and provides instruction in both English and French. Ecole Secondaire Foothills Composite High School/High School of Fine Arts serves all high school students in Okotoks and has been undergoing modernization efforts. The goal is to ensure that approximately 1,000 students that are attending the school have access to brand-new facilities. The interior of the school will be upgraded in order to better deliver the specialized technology, fine arts and career programming available at the school.